The sun is shining, the days are longer, and the weather is nice and warm. 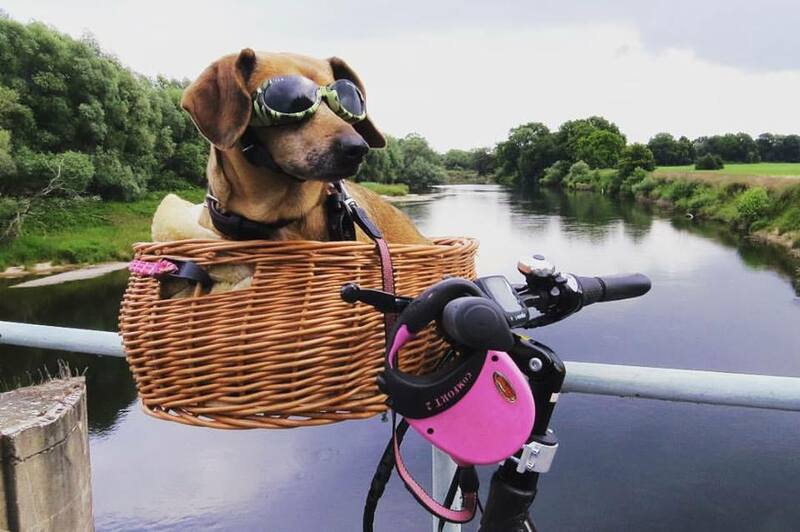 Summer really is the perfect time for cycling. But sometimes even sunshine can get too much. This summer has been especially generous with sunshine and heat here in the UK. If you plan on riding your bike when it’s hot, be that for your short commute to work or for a day-long cycling trip, make sure to take care of yourself! To help you with that, we’ve compiled a short list of tips for our fellow bike and sunshine enthusiasts. If you can, try to schedule your trips for the morning or the evening, when it’s not as hot outside yet. Night cycling can be especially beautiful in summer, but don’t forget to bring a windproof jacket then, as the nights can be surprisingly cool. If you’re doing a day trip, at least try to avoid or take it easy between 11 am and 2 pm, as that’s the hottest part of the day. Keep to shady routes, go a little slower, and stop regularly to drink and maybe run your wrists under cold water, as that helps you cool down. Maybe even plan your route around bodies of water (lakes, rivers, or even just fountains, if you’re doing a city-trip) to stay cool or take a quick break. A short dip can do wonders on a hot day. It probably goes without saying: bring enough water for your trip, and remember to take a sip regularly. Water with electrolytes is best, as the loss of electrolytes when sweating can cause cramps after a while. If you’re not too fond of water, pack some low-sugar juice or smoothies rather than tea, coffee, or sugary drinks, as they’re harder on your stomach and not nearly as nutritious. And remember, if you’re stopping to get a pint in a pub on your trip - alcohol dehydrates, so fill up your water bottles again to compensate. To keep your drinks cool, you can get Thermos bottles or fill regular bottles with ice cubes. You could also put your second (regular) water bottle in the freezer the night before you leave - it’ll slowly thaw during the trip, and by the time your first bottle is empty, the second one will be ready, still nice and cool! If you do that, remember to only fill ¾ of the bottle before putting it in the freezer. When the water freezes, it expands and if the water bottle is too full, it might break. Pack something cool and light, but energizing, like salads or sandwiches, or some cold soup (yummy gazpacho anyone?) in a Thermos bottle. Fruit is a great snack to bring in summer as it doesn’t melt, but especially for really hot weather, you’ll want to bring something like watermelon, pineapple or grapes in a light cool bag, as they’re a great, healthy energizer and will last you all day without going bad. You could also freeze bananas beforehand to avoid them becoming mushy during your trip. Either way, avoid food that is too salty or spicey, as that’s dehydrating as well. Even if it’s just a short trip, try to wear light, breezy materials (like cotton), possibly with wicking, and in light colours. If you’re out in the sun for longer, more exhausting journeys, think about investing in fingerless track mitts. When your palms are sweaty, they become sore more easily. And in either case, remember to bring your sunglasses - not just to avoid damage to your eyes by the sun, but also by pollen or dust from the dry roads! Choose a helmet with air vents to protect and keep your head cool... or at least wear a sunhat or cap to avoid sunburn. ... or at least wear a sunhat or cap to avoid sunburn. One of the most important things to remember next to hydration is skin care - invest in a good sunblocker and make sure to lotion all of your exposed skin. And don’t forget the back of your neck, as that’s one of the most exposed body parts when cycling and is often forgotten. To avoid any discomfort from friction with your clothing when you’re sweating, put some chamois cream on non-exposed skin. And get a little spray bottle with water to keep your skin hydrated as well throughout your ride. When you’re out and about all day, it’s important to take care of yourself. It’s normal to be exhausted, but make sure to watch out for signs of heat stress. Typical symptoms are: heavy perspiration, clammy, cold, or pale skin, an increased heart rate, fatigue, dizziness, and headache. If ignored for too long, this may also lead to heat stroke, which you will recognize by a very high body temperature, confusion, red and damp skin, or even passing out. In any case, take it easy when cycling in this heat - stop more often, drink enough water, and take care of yourself. Feel the sunshine and ride on!